You are here: Home / Newsletter Archives / Specials / Only $99.99! Daiwa Tatula Rods On Sale! Limited Quantities Available! Only $99.99! Daiwa Tatula Rods On Sale! Limited Quantities Available! In Stock Daiwa Tatula Rods Only $99.99! While Supplies Last! The Daiwa Tatula rods have been considered a great value for years. They offer fantastic performance for a rod priced in the $150 range. The blanks are lightweight, sensitive, and durable. The components are top notch, featuring custom reels seats and quality Fuji guides. Now, price these rods at $99.99 and you have an EXCEPTIONAL value. While supplies last, enjoy a great discount on an awesome rod, along with free shipping on all USA & Canada orders. Please note, this applies only to the Tatula series of rods and does not include the Tatula Elite series. 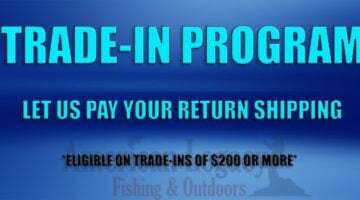 FREE Return Shipping On All Trade-Ins Totaling $200 Or More! If you haven’t taken advantage of our trade-in program, you are definitely missing out! It’s a tremendous way to upgrade your gear in an easy and cost effective method. For the next two weeks, we will cover the cost of getting your gear back to us (via a Prepaid FedEx label that we will email to you). All you have to do is email, call us, or fax us over a list of rods or reels you would like us to quote using this form. Note: This promotion applies to continental US customers only. 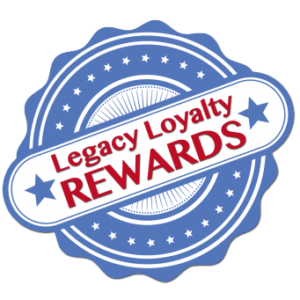 Trade-in requests must be submitted by Midnight August 2, 2018 to qualify. Promotion does not apply retroactively.